Many vacationers from Mexico on the Mayan Riviera want to spend a day on an “island”Because the image that one has of the Caribbean, there are islands like everywhere in the movie “Pirates of the Caribbean.”…Unfortunately along the Yucatan coast, there are very few islands! The best known ones are Isla Mujeres (translation: the island of women), Isla Contoy which is a protected reserve where many birds are found, and Holbox island. 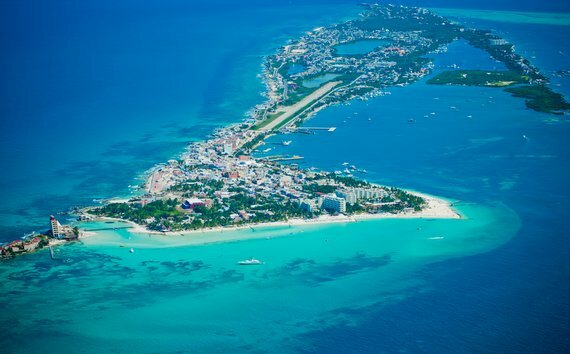 Isla Mujeres is located just opposite of Cancun 13 kilometers away and the ferry can take us there in 30/40 minutes. Its length is 7km and its width of 650m. It’s a very rocky island for the most part and there is a really beautiful beach on the northern side, which is called Playa Norte. It is a very touristic island, with its traditional souvenir shops and small restaurant. The main attractions of Isla Mujeres are Playa Norteand the underwater museum, which is close by or that can be seen snorkeling or bottled statues that have been raised to restore the reef; they are between 15 to 20 meters below the surface. The island becomes more enjoyable in the evening, if you stay there to sleep, when most visitors have left to Cancun. This becomes more of a “small town”. 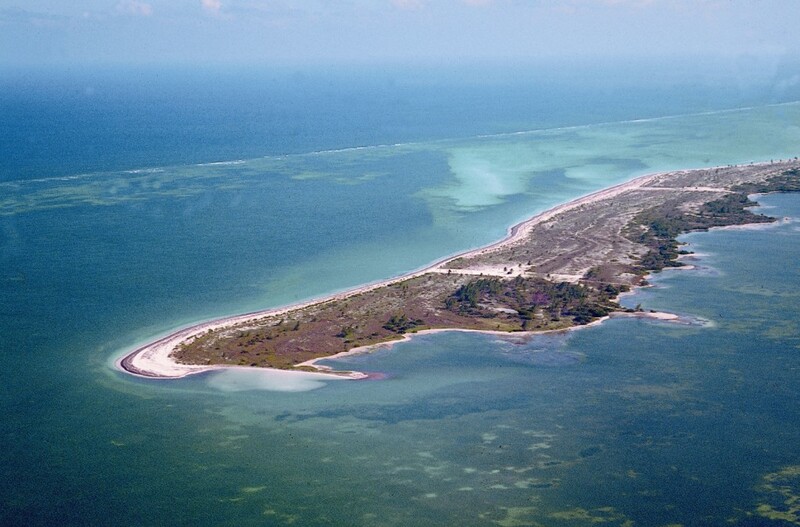 Holbox island is in the state of Yucatan, it measures 12 kilometers long and 1.5 km wide. Due to the fact that it takes around an hour and forty minutes to get there from Playa del Carmen, Isla Holbox is naturally much less known than Isla Mujeres-at least for now. It forms a large lagoon that must be crossed (20 minutes) from the port of Chiquila to go to the village (crossing is 140 pesos one way per a person by ferry). Holbox Island is surrounded by mangroves, including an open cenote where you can swim. There are no cars on the island, everyone rides on golf carts, in order to keep the authentic character of the village where the streets are still sand and earth… You will find many small restaurants and bars, and you will mix with the local population,which is mainly people that are there for fishing. The northern beaches are white sand with emerald water, less blue than Cancun because here the water of the Gulf of Mexico and Caribbean mixes togther. On the island, from June to September, you can also go on excursions to swim with the whale sharks.